You’re an entrepreneur in Johnson City. You’re starting up a business offering Internet to local folks. Pay attention to this warning. It’s not as if Johnson City lacks for Internet Service Providers. At least two other ISPs are already there. There’s Comcast. Then there’s Charter. The BrightRidge plan, by the way, is estimated to cost $64 million. The motive — BrightRidge officials say they can make this a boon for the city’s economic development. But some people say municipal broadband is unlikely to help bring that boon, among them David Williams, president of the Washington, D.C.-based Taxpayer Protection Alliance. The TPA has studied municipal broadband networks nationwide. “These cities think they’re going to be the next Silicon Valley. But, no, they’re not. It doesn’t work that way,” Williams said. Assuming the plan goes through, BrightRidge officials will use electric ratepayer money to build out their network, he added. “Obviously, if you don’t subscribe to the cable service or the Internet service then you’ve paid for the deployment of it, but you’re not actually using it,” Williams said. Private businessmen and businesswoman struggle to keep their businesses afloat. They only have so many resources at their disposal. They ought not have to compete against government, he said. BrightRidge’s electrical division gets by on ratepayer money. If its finances get lopsided and money is lost on its venture into the Internet business then utility officials would call upon taxpayers for a bailout, said Amy Martin, spokeswoman for the Tennessee Cable Telecommunications Association. Jim Hopson, spokesman for the Tennessee Valley Authority, which regulates BrightRidge, said a similar thing — municipalities are backed by the full faith and credit of taxpayers. BrightRidge officials, however, say the opposite is true. Johnson City Vice Mayor Jenny Brock described broadband as an essential utility, no different than water, electricity, sewers, and roads. “We are seeing from business and industry and home businesses that it’s viewed as infrastructure,” Brock said. BrightRidge officials, she went on to say, will also try to set up service for people in rural areas who may not have the best quality Internet or even still use dial-up. “It has to be provided and provided at a reliable and fast enough rate in our community that it attracts and brings businesses in,” she said. Municipal broadband is also known as Government Owned Internet, or GON for short. GONs have a history of failure around the nation, according to several experts. “If you’re a taxpayer in Johnson City then this is something you should care about,” Williams said. “Taxpayers’ money will be put at risk in a sector of our economy to compete with local private businesses and providers who have no such taxpayer support,” Martin said. Brock, though, said prospective businesses that want to set up shop in Johnson City lose interest the moment they learn its broadband offerings aren’t up to par. “When we look at what we have here in Upper East Tennessee we have some weaknesses,” Brock said. Charter and Comcast, she went on to say, divided up the Johnson City service area for its cable and Internet offerings. There isn’t enough competition — but she also said the competition that is there is of benefit. Brock said the only cable service she can get at her house is Comcast, so that’s why she went with a third option — the Xfinity satellite service. “I like Xfinity a lot. I like what they are finally doing now,” Brock said. 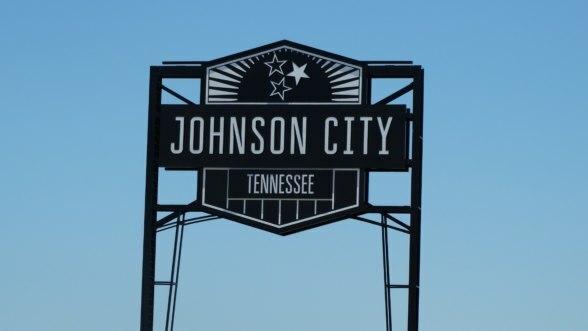 Johnson City is in Washington County. Washington County has at least five local high-speed ISPs, Martin said. Williams said new providers, including CenturyLink, Spectrum, and Infinity, are on their way. Cable company executives recently met with the city’s board of commissioners to talk about all the new services they’ll soon offer Johnson City. Comcast officials told commissioners they have 125 employees who live in the area. The company invests about $120 million in Tennessee every year, they said. Charter executives, meanwhile, said they plan to offer Gigabit service — at faster speeds than normal — by the end of this year. After hearing them out, Commissioner Joe Wise told the execs their new services will doubtless reap them many benefits. “What you’re talking about is something customers will reward you for,” Wise said at that meeting. “I think the customers are here, and I think everybody goes after that customer base. They will just have to see how they adjust and whether it’s pricing, quality of service, or customer service,” she added. But people in the rural parts of Washington County will not lack for high-speed Internet for long, given the terms of Tennessee’s recently passed Tennessee Broadband Accessibility Act, Martin said. Per the terms of the law, Internet Service Providers will help expand broadband access to underserved areas, she said. Those same Internet Service Providers always thrive and do better than GONs, according to Williams. “They offer better service and they do upgrades. If we had this discussion a year or two ago, we would have been googly–eyed about a gig service,” Williams said, adding government need not get involved. 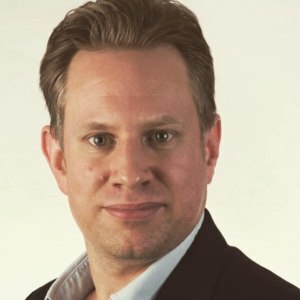 Follow Chris Butler on his professional Facebook page Chris Butler – Writer/Journalist.